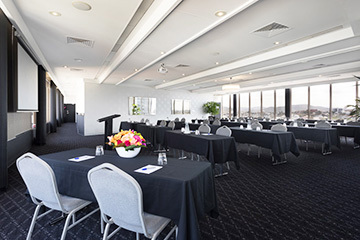 Rydges South Bank has a variety of conference facilities and function spaces that are perfect for accomodating everything from discrete boardroom meetings to trade shows, and gala events for up to 1,000 guests. 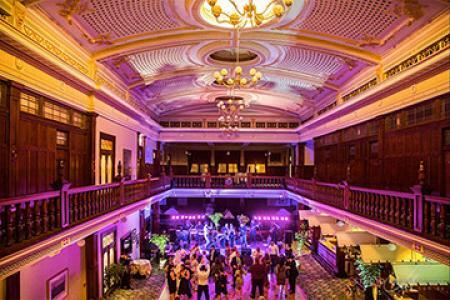 Our function rooms can be set up in a number of configurations to meet your exact needs making it one of Brisbane’s most popular event venues. The Level 12 Rooftop is a spectacular private venue that features large glass windows showcasing magnificent, uninterrupted panoramic views of the Brisbane river and city skyline. With black out curtains and sound proof movable walls, the space tastefully divides into 2 private meeting rooms with a shared pre-function area. 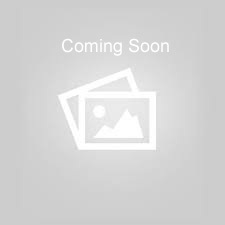 Perfect for your next business meeting or product launch. 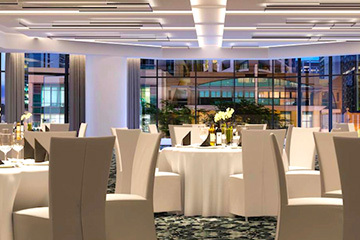 Podium Level Function and Events Centre offers a stylish and sophisticated setting. 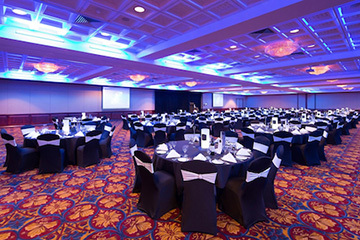 These rooms comfortably cater for up to 600 guests cocktail style or up to 550 delegates theatre style. For flexibility, the walls tastefully divide the space creating 4 private rooms, all opening out onto a terrace area which allows natural light into the rooms. Also located on the Podium Level is one of the hotel's private boardrooms. All event spaces feature natural light and adjacent outdoor terraces. Podium Rooms are fitted with state-of-the-art audio-visual technology with iPad controls. Business Centre facilities are also available in the Lobby. We have a great selection of all inclusive food and beverage menu options for your function or event. Just ask our team.